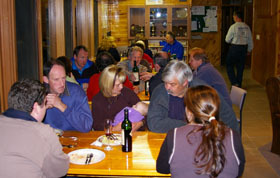 The club has a number of social events and working bees throughout the year in which all members and guests are welcome. 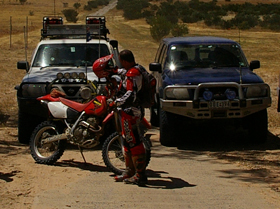 Social events such as 4x4, trail bike, fishing, walking and wine tasting weekends are enjoyed by many. Please contact us if you have a suggested event. 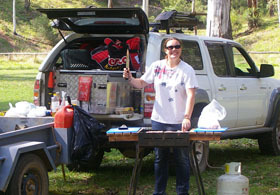 Working bees enable club members to get together in a friendly environment and help maintain the lodge. Tasks such as general maintenance and cleaning are shared. Accomodation is free and dinner is supplied on a Saturday night. 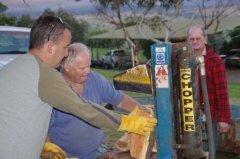 The woodchop is a particularly popular event. Saturday 14th and Sunday 15th April. Book for Fri 13th and Sat 14th April. Accomodation free with dinner supplied on Saturday night. The more workers we have the more we can get done Book now! After Season Maintenance weekend T.B.A. Sorry, the camping trip has been cancelled. Saturday 23rd & Sunday 24th March. Book for Friday night 22nd and Sat 23rd. General Maintenance and outdoor funrniture painting & re-staining. 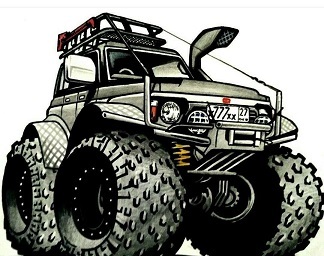 2019 Club 4 X 4 trip. Saturday 2nd and Sunday 3rd March 2019. 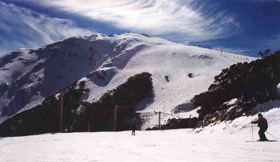 Come and join us as we take in a trip to the High Country Cattleman and Refuge huts. This will be an easy trip with novices and families welcome.